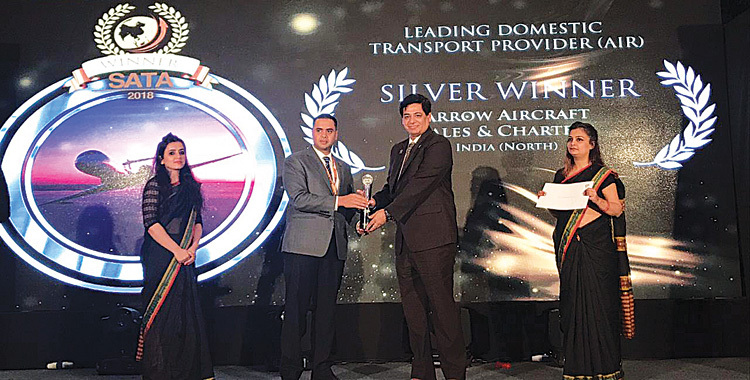 Rohit Kapur led Arrow Aircraft Sales & Charters has bagged the South Asian Travel Award 2018 in the ‘Leading Domestic Transport Provider (Air) category’, beating two of leading Maldivian air transport provider, Villa Air and Island Aviation Services. This is a regional travel award endorsed by multi-national associations providing the tourism sector of the South Asian Region with recognition towards their facilities and service excellence. The SATA 2018 took place in Mumbai. SATA 2016 was held in Sri Lanka and last year it was held in Maldives. SATA has affiliations from regional associations of South Asian countries.